The use of natural gas in Canada among consumers not connected to the energy grid has become more relevant. The o­ff road applications popularity is driven by the dip of natural gas exports to the U.S., as Canada’s southern neighbour ramped up its shale gas output. Canada needs new markets for its fuel. Fortunately, consumption in its local market is increasing as companies start to focus on using a cleaner fuel to meet new regulations about greenhouse gas emissions. The high horse power industries of Canada were the first ones in embracing the switch to natural gas fuel. In the oil and gas industry, the exploration and production sector is demonstrating how much could be saved on fuel in addition to the cut in emissions. This has encouraged mining, marine and off­-grid communities to make positive steps towards also converting operations to natural gas fuel. For example, Canada has started to use gas to fuel its ferry services, and this is already taking place in British Colombia. It is expected that soon more ferry companies will start using the cleaner fuel in a bid to reduce carbon emissions and reduce their fuel costs. In addition, the Canadian mining industry and producers of power, waste and water treatment have all been given more incentives to use more of this fuel. About half of Canada’s energy needs are met by gas currently, but industry players hope that these factors will help this share of the pie to grow. Wellgreen Platinum Ltd is one such company paving the way. Last year, the mining company announced an agreement with Ferus Natural Gas Fuels Inc to expand into the natural gas market in Canada’s Yukon Territory. This new partnership supports the delivery of clean liquefied natural gas (LNG) to power Wellgreen’s PGM-Nickel-Copper project. The site is located in the southwest region of the Yukon, and could be the first mining project in Canada powered by LNG. Glencore International Plc, the largest publicly traded company, is also exploring its options. The major mining company is trying to convert operating mines in Canada from diesel into natural gas. Still at prefeasibility stage, Glencore wants to carry out this project in two stages. Initially the natural gas would be used for power generation for the mine (as there are robust technologies to do so) and at a second stage, the natural gas would be used in transportation also. According to the company, right now the technology is not mature enough, but Caterpillar and Volvo are making progress. The company is at the moment evaluating the costs (conversion of the mine, infrastructure, securing the gas - the trading arm of Glencore will help with that) A turning point for natural gas in mines in Canada Industry experts point out that this is a turning point for natural gas in mines in Canada, as the mines are getting connected to the grid. Natural gas for power generation in mines is already here. It is very easy to implement in green field mines, and a bit more complicated in brown field mines. 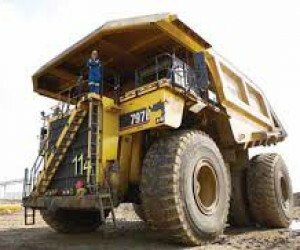 Canada’s mining sector, a big contributor to Canada’s economy, is expected to continue expanding in spite of lower global commodity prices on the back of slower demand from China. Despite the volatility seen over the last couple of years, Canada’s mining sector contributed $54.0 billion to the national gross domestic product in 2013 up from $52.6 billion in 2012, the Mining Association of Canada said in a recent report. The group which represents companies such as ArcelorMittal, Glencore and Rio Tinto, said mining industry exports accounted for 19.6% of the Canadian total in 2013, which is down slightly from the 20.4% seen the previous year. Mines require infrastructure like roads, ports, railways and power grids to operate, which are often not available in remote and northern regions of Canada. Immense opportunity for mining development lies in Canada’s northern regions, and would provide significant socio-economic benefits to northern communities. 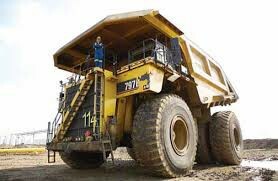 Canada’s mining industry has started to use more gas as the economics of the cleaner fuel make commercial sense. Still, the pace of development in Canadian infrastructure such as building roads, pipelines, refuelling stations for consumers situated o­ the main networks is still lagging behind the US. The fall in oil prices has slowed spending on infrastructure among companies. So far, Occidental Petroleum Corp and ConocoPhilips this year said they will spend less to protect returns to shareholders. BP Plc has frozen wages while Chevron Corp said it would slow spending on the Kitimat liquefied natural gas project (LNG) in Canada because of falling oil prices and keen competition. Falling oil prices hasn’t stopped Exxon Mobil Corp. from pushing ahead with plans to spend as much as a C$25 billion ($21 billion) on a project to export LNG from Canada. The company is seeking to build a facility on the Pacific Coast that would initially liquefy and export 15 million metric tons of LNG a year, according to an environmental review application submitted January 7 posted on the British Columbia provincial government website. Exxon’s WCC LNG Project Ltd. is one of at least a dozen export facilities proposed for Canada’s Pacific Coast, cooling gas from British Columbia for shipment by tanker to Asian markets. On the flip side, another major industrial consumer of natural gas, oil sands mining, could receive an unexpected boost from the recent drop in global oil prices. In Canada, the energy sector, the Canadian oil sands sector, in particular, accounts for at least 20% of country’s gas demand in 2008, according to the IEA. As oil sands mining continues to expand in Canada, its growth may also boost the use of natural gas for off road applications as companies find economic ways to facilitate production. Shell and Caterpillar signed an agreement to test new LNG dual-fuel engines for sand mining trucks in Alberta, Canada, in 2016. Canada's economy is energy intensive compared to other industrialized countries. Its driving need to consume natural gas will only get more fervent, particularly in the o­ff road sectors, according to industry players in Canada. Still, challenges face this sector. The main issue is the pace of development of infrastructure in mining, which includes oil sands, and in the marine sector. For the marine sector, there is so far a lack of infrastructure to support demand and there may be room for clearer regulation on LNG fuelling sites to fuel marine vessels. In mining, there is a will to switch from diesel, coal to natural gas powered trucks or rigs but also a need for big capital expenditure to develop infrastructure.